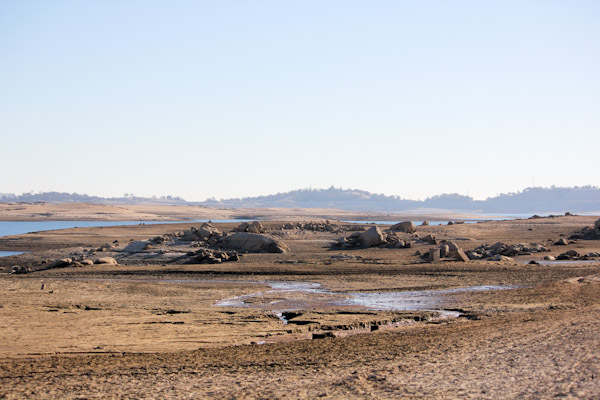 This area is in a pretty serious drought now and sadly Folsom Lake is at a record low water level. 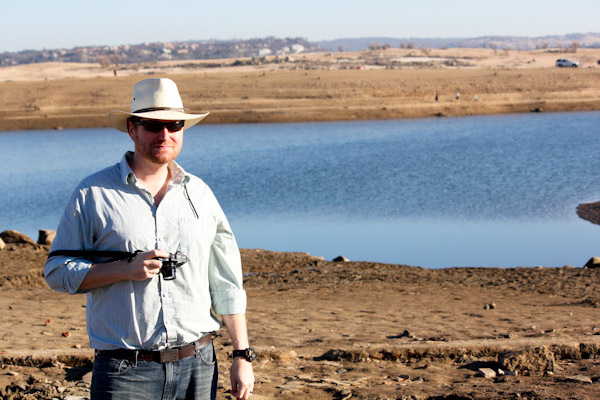 But the low levels are exposing remains of a old gold rush town that was flooded in 1955 when the dam was completed. Hubby and I decided to check it out over the weekend to get outside and enjoy the nice weather. Seeing the ruins of old brick houses was pretty wild. It was a lot of walking and hiking through soft sand to check everything out, but worth it. 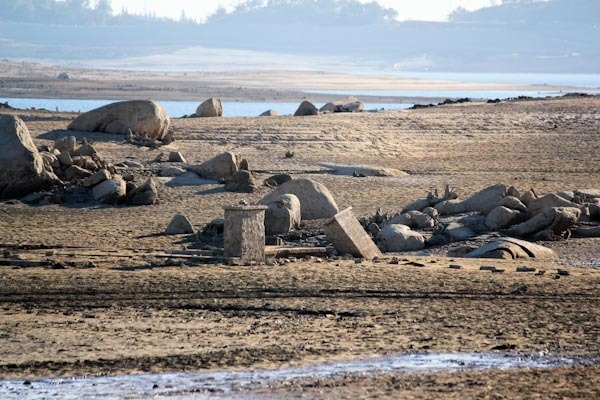 Still sad and scary to see the lake at a record low – we need more rain! 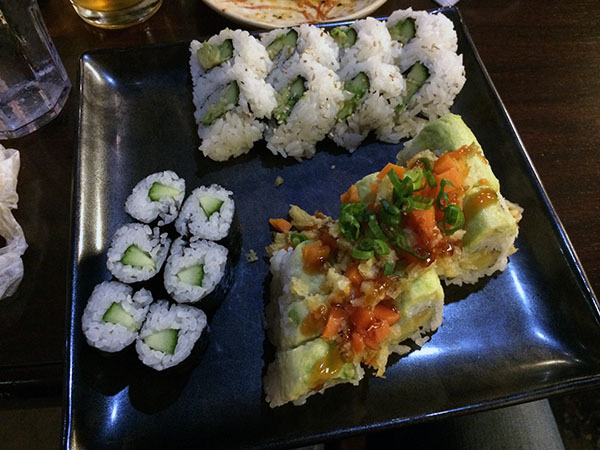 After we hit Mikuni’s for sushi and I got this lovely combo plate of veggie rolls. The combo was cheaper than most single non-vegan rolls, not a bad deal! The avocado roll topped with carrots, green onion, and crunchy tempura bits was especially delicious and I had leftovers to take home. 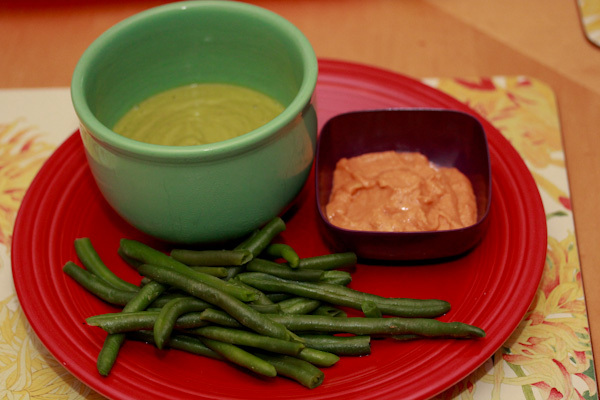 I’m still working on my New Year’s goal of using less oils and frying foods less at home. I broke out the pressure cooker and revisited the black bean soup recipe from The New Fast Food: The Veggie Queen Pressure Cooks Whole Food Meals. But I left out the oil and did not saute the onions before mixing in the rest of the ingredients and it didn’t seem to affect the flavor, it was great topped with a little vegan sour cream and smokey seasoning. I will be having fun with other recipes that I can leave the oil out of too since I have a huge collection of vegan recipe books in our pantry. Another thing I’d like to try for 2014 is taking on a new challenge each month. Nothing extreme, just little habit improvements here and there since I could use improvement after losing some habits in 2013. I’m still deciding on all of the challenges, but this month will be sprouts. 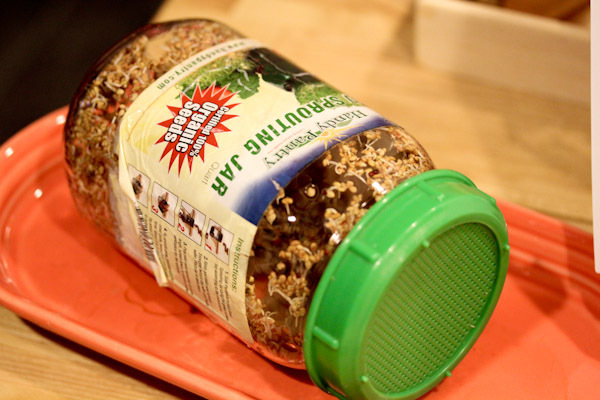 I haven’t been growing a lot of sprouts at home lately and have a lot of seeds in the pantry to use up, so for January I will pretty much always be growing fresh sprouts for salads and smoothies and have a blend of organic alfalfa sprouts growing in a jar now. Throughout the month I plan to sprout anything I can and try new sprouts and sprout recipes – should be fun! 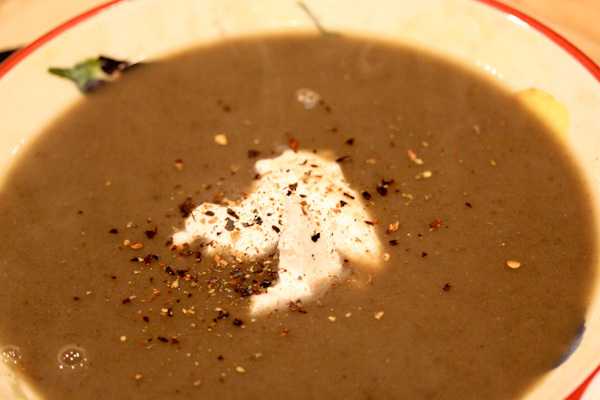 But tonight I have an interesting new raw broccoli soup recipe using hummus. 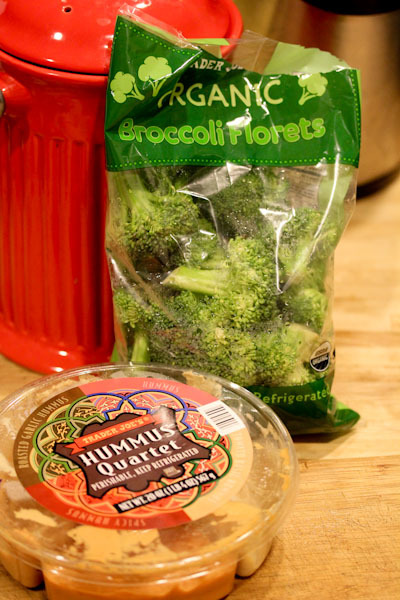 I bought a huge hummus quartet from Trader Joe’s last week that needs to be used up and tried it in a raw soup that uses banana to counter the broccoli’s slight bitterness, add a little sweet, and silkiness to the texture. 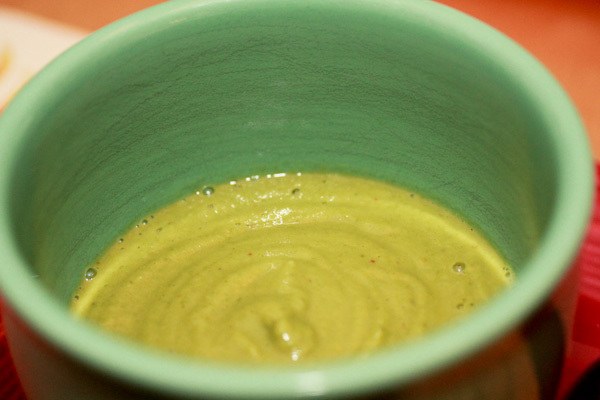 The ingredients were an interesting gamble, but the banana added the perfect amount of sweetness and smoothness to balance the stronger flavor of the broccoli. The flavor is great with a nice level of tangy and a savory smokey flavor, but not bitter or earthy which is huge for me since it’s a challenge finding a raw broccoli recipe that tastes good and agrees with me. 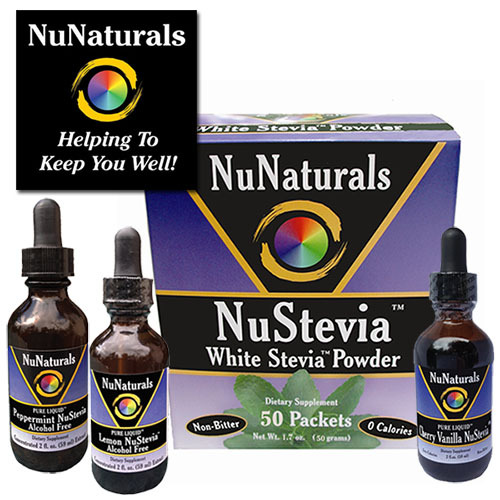 Also, don’t forget to enter the NuNaturals Stevia giveaway, the winners will be announced Wednesday! I know, so sad…it really needs to start raining more!!! Great photos. It’s getting scary isn’t it? 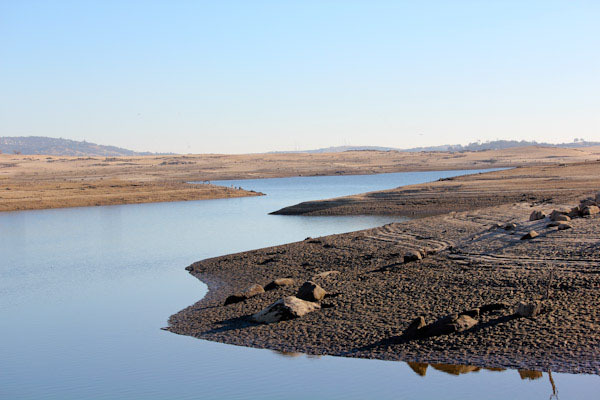 We’re being asked to reduce water usage here.